Through a glass darkly is a phrase that has inspired the titles of many works. It implies an obscure or imperfect vision of reality. This is very apposite in the context of individuals making career choices and educational investment decisions. Frequently criticized as unnecessary, misleading, and even impossible, skills forecasts are an attempt to add some light. 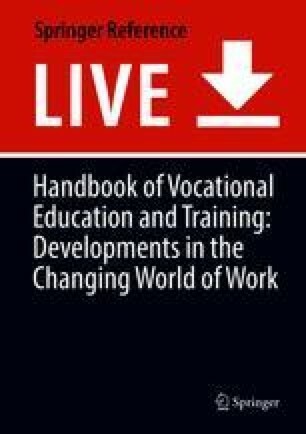 Now a key element in economic and labor market policy in many parts of the developed world, they also provide a benchmark for debating whether the education and training system produces skills appropriate for the labor market. Globalization, technological change, and demographic developments are changing the world of work, as well as the provision of education and training, in dramatic ways. The ever-growing importance of services (in terms of shares of total employment), continuing impacts of ICT including robotics, and myriad other factors are changing the nature of work and employment. Nevertheless, many clear trends emerge that can help those having to make career choices or decide on priorities for investment in human capital make better informed decisions. Policy makers worldwide are keen to try to match skills supply with rapidly changing demand, but perfect matching is probably a chimera in all but the most tightly controlled and planned economies. This chapter argues that regular skills forecasts are essential in a modern labor market information and intelligence system to ensure economies and labor markets function efficiently. While both precise and detailed forecasting and matching of supply to demand are impossible tasks, it is important that all participants in the labor market are well informed about the world around them and about future prospects. Systematic, consistent analysis and projections, based on sound historical data, can provide such information. Skills forecasts can inform education and training providers, as well as individuals making career choices, about their best options. Of course, nobody has a crystal ball. The chapter also sets out the problems and pitfalls associated with such work, alongside the case for its continuation on a regular and well-founded basis.